Home and business owners in Atlanta, Georgia, often require professional mold remediation services because, unfortunately, the climate in this region makes it easy for mold to grow. 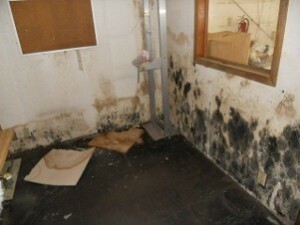 For instance, mold depends on a source of moisture, and the high humidity in this area alone can allow mold to thrive. While people elsewhere may only need mold removal services after they’ve experienced a plumbing or roof leak, a homeowner in Atlanta, GA, with 70 percent humidity in their basement may find they face a significant mold problem for that reason alone. In fact, the prevalence of basements in this area also helps explain the high demand for mold remediation services. Basements, especially ones with limited air circulation, can provide the perfect environment for mold to grow, and many area homeowners that need mold remediation services are seeking to address a mold problem in their basement. If you’ve noticed signs of mold in your home or business, contact The Mold Removal Experts! at Abatement Solutions, Inc. today. We’ll handle all aspects of the work needed to return your property to its pre-mold condition, completing any inspection, water extraction, mold remediation, mold prevention, and reconstruction work you require. Our effective services and attentive customer care have made us the mold remediation company of choice for realtors, residential and commercial property owners, and property management companies throughout the Atlanta, GA, area. We look forward to discussing how we can meet your needs.